PHOENIX – Emerson J. Dillon Middle School seventh grade technology teacher Corey Szyikowski has been named the 2015-2016 Central New York Technology & Engineering Educators Association Teacher of the Year. 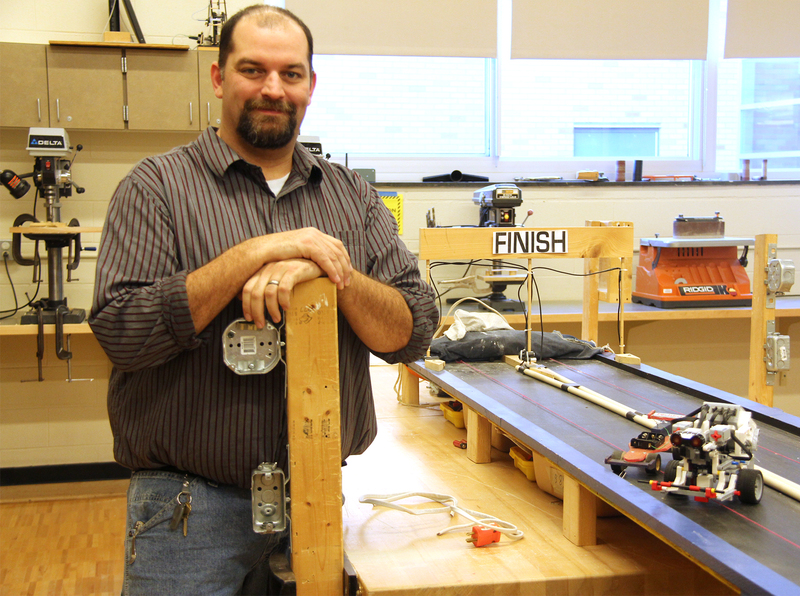 Corey Szyikowski, has been named the 2015-16 CNY Technology and Engineering Educators Association Teacher of the Year. He was nominated for the award by his colleague of 10 years, EJD eighth grade technology teacher Michael Harter, who recognized Szyikowski for his ability to excite students about learning various trades. The CNYTEEA honor is the first of its kind he will receive for work in education. Szyikowski has worked as the EJD seventh grade technology teacher since 2002. Students learn home repair skills, coding and how to build their own web pages where they record class notes. He also has collaborated with Clarkson University in Potsdam to bring a robotics component to his classroom. Szyikowski doesn’t lecture in class, rather students watch video lessons at home. In the flipped-learning environment, students are able to learn at their own pace and he has more time to focus in class on struggling students. He said his classroom success wouldn’t be possible without the support of the Phoenix Central School District administration and Information Technology department, EJD renovations which created a technology workshop and the support of his wife, Kris, and their two children, Ryan and Hailey. Szyikowski will receive the CNTEEA award this spring, with a date and location to be determined, according to association president Matthew Starke.